Fall is in the air, and so are all the allergens that tickle our noses, make us sneeze, and remind us of what we should be doing to keep our homes as clean as possible this time of year. Pollens, molds, and changes in weather (wind, rain, etc) take the allergy season to a whole new level. We’ve all heard of “spring cleaning,” but a good fall cleaning is just as important. We’ve created a list of the top five things you can do to keep those allergy-inducing pests at bay. 1.) Befriend your vacuum! We can’t stress this enough. 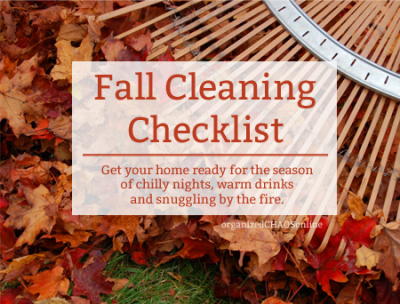 Fall season or not, regular vacuuming in your home is ESSENTIAL. And start from the top down. We’ve all seen those wispy, hard-to-reach spider webs that suddenly creep up on our highest ceilings, light fixtures, etc. Get them down! With spider webs comes dust, and therein-lies the problem. Dust. It accumulates from the ceiling down, so don’t be afraid to get out that vacuum hose and use it. Knock down any cobwebs you see, and vacuum them up. Continue with vacuuming your ceiling fans and hanging light fixtures before making your way down to the baseboards and eventually the floor. 2.) Once you’ve befriended your vacuum, use it in those forgotten places, such as under the furniture (to get those persistent dust bunnies), beneath the couch cushions, and all of your upholstered furniture (namely couches and chairs). All of this fabric lures in dust and lets it seep in and accumulate. 3.) Clean your entryways. Again, this can often get forgotten or overlooked. Doors to our homes are how we go in and outdoors during our busy lives. Wipe down doors – front, back, and sides – at least once a week. We rarely stop to think about what we’re tracking into the house from the outdoors; pollen, dust, dirt, animal dander. We carry it on our hands and touch our doors, we bring it in on our shoes. It’s best to vacuum these areas – just inside the doorways and down the halls – at least twice a week. An even further precaution is having a no-shoes policy, which will greatly reduce the amount of allergens brought into the home. 4.) Dust. It seems like such an obvious solution, but dusting on a regular, consistent basis can greatly reduce the amount of dust mites in your home. The best way to dust is not to scatter the mites away with simple brushing; use a wet cloth (Pledge) to attract and get rid of the dust. Do this to all surfaces in your home at least once a week. 5.) Reduce pet dander. Pet dander is a HUGE source of allergies for those prone to them. Bathing your pet at least once a week can reduce the amount of dander. The protein found in pet dander, saliva, and urine can cause terrible allergies, so it’s best to keep them clean! You can also vacuum regularly, keep your pets off your furniture, and create “pet-free” zones in your home to eliminate the areas that will trigger these allergies.